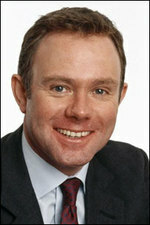 ConservativeHome's Interviews: Any questions for Nick Herbert? Any questions for Nick Herbert? Nick has been the MP for Arundel & South Downs since May 2005. In December 2005 David Cameron appointed Nick as the Shadow Minister for Police Reform, and in July 2007 he was promoted to the Shadow Cabinet as Shadow Secretary of State for Justice responsible for policy on prisons, constitutional issues, criminal law, courts and sentencing. Prior to his election Nick was the Director of Reform, the independent think tank which he co-founded in 2002. Reform aims to “set out a better way to deliver public services and economic prosperity” and has been described by commentators as “the most important think tank to emerge for a decade”. Before that, from 1998 to 2000, Nick was Chief Executive of Business for Sterling, where he launched the successful ‘no’ campaign against the euro. He continues to believe that too much power has been transferred to the European Union and that the process not only needs to be halted but also now put in reverse so that powers are returned to national parliaments where they belong. If you have any questions for Nick please leave them in the thread below.